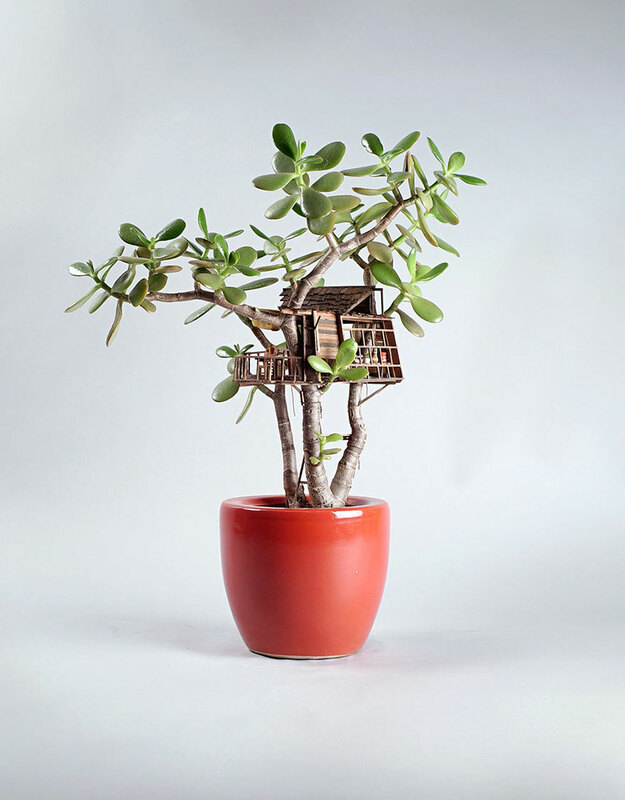 Artist Jedediah Corwyn Voltz constructs miniature tree houses nestled in and around potted plants and bonsai. 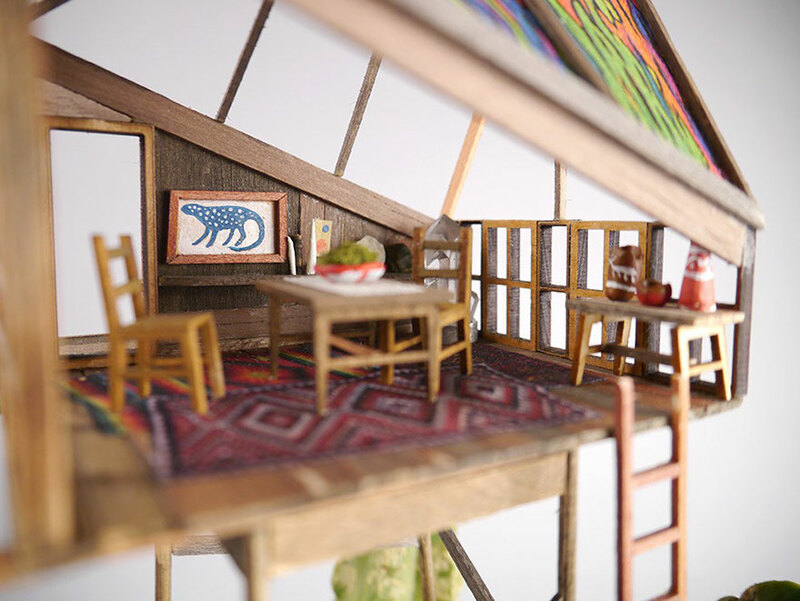 The tiny buildings, which range from stylish lofts to minimalist studios, have similar features to their full-sized counterparts, and Voltz has outfitted them with decorative rugs, art objects, and wooden furniture. 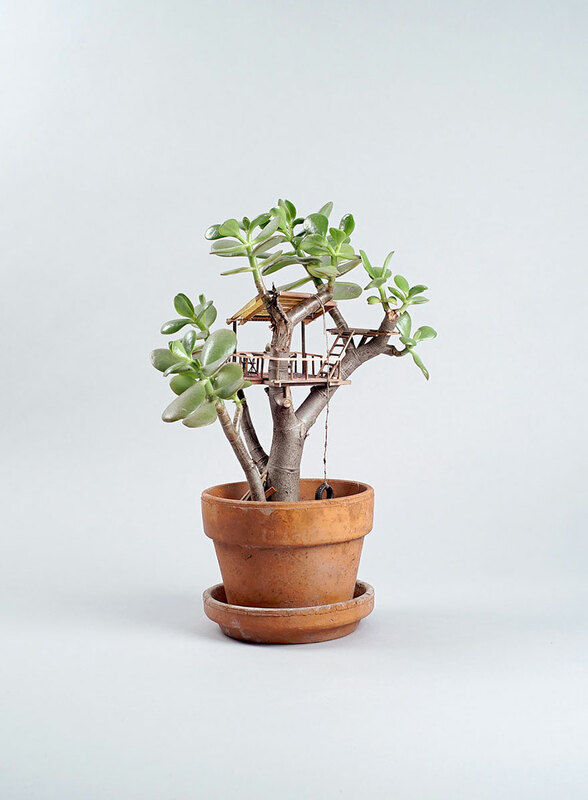 Some even have minuscule houseplants lining their porches! 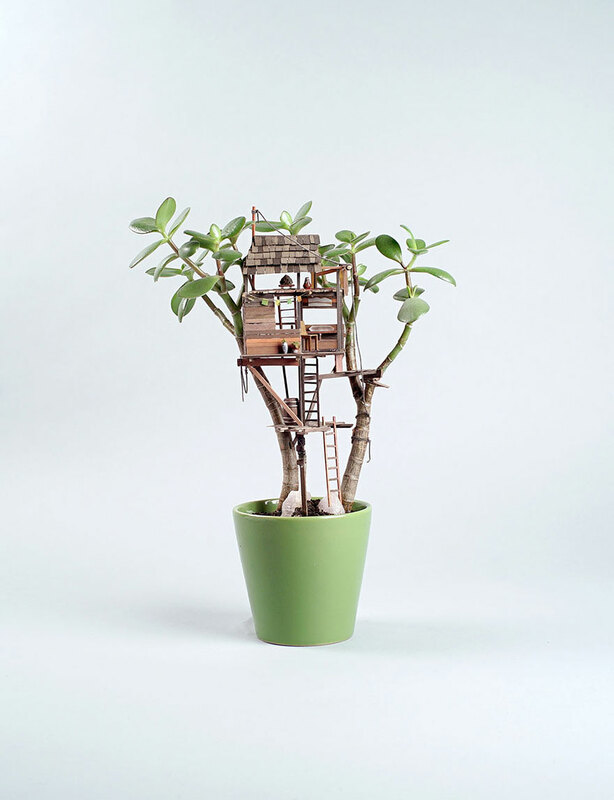 This incredible attention to detail brings these playful spaces to life, and it’s easy to imagine that they’re inhabited by pint-sized residents. To produce the sculptures, Voltz draws from his decade-long experience as a commercial prop maker for movies. 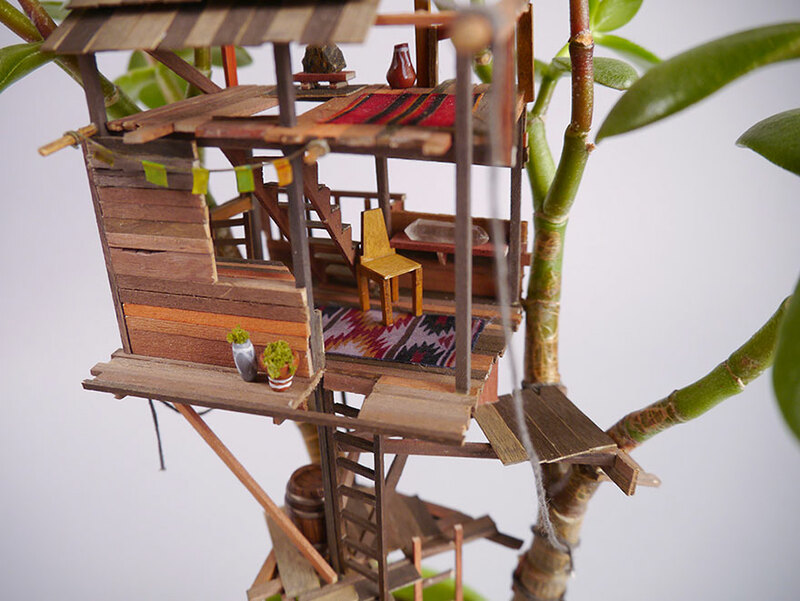 As a result, everything is meticulously handcrafted by the artist, with materials like silk and wood cobbled together into fully-realized structures.